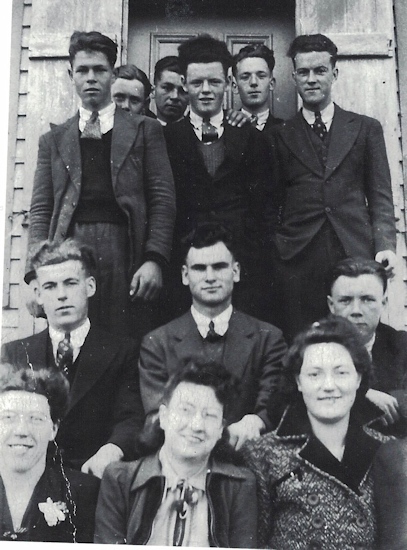 Night school class in Long Harbor, Nfld around 1942. 2nd Row (L-R): Jim Bruce, Cyril Norman, ? Dinn Bruce. 3rd Row (L-R): Ned Bruce, Cecil Bruce, Dan Murry. Cyril Norman is my father. Jim Bruce later married Lucy King. Ned Bruce was from the Skipper Dan Bruce family.